Jul 13 2011 by Bekah McGrady. Last month I was the Matron of Honor in my best friend’s out of state wedding. It was a lovely wedding and a good trip. When I returned home to my happy pets and husband, I asked him what he did while I was away. Now my dear husband is not a rocket scientist, but he has dabbled in flying RC Airplanes a good bit, so I suppose I should have seen this coming. 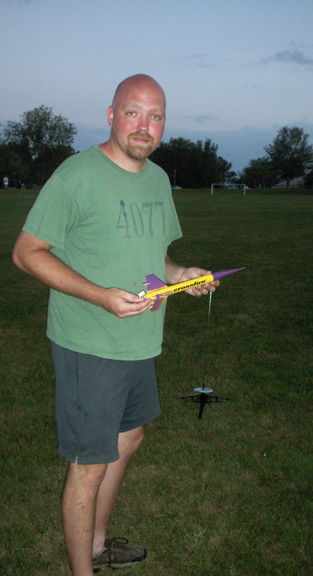 He only built “some little ones… well, ok, and a medium one too.” If he builds some more and launches them just so, meeting certain criteria, he can get his Bronze Certification with the National Association of Rocketry. Don’t I want him to be be certified to launch rockets? After six years of marriage, I am somewhat accustomed to his hijinks, so I didn’t hit the roof or use his full name at him or anything like that. 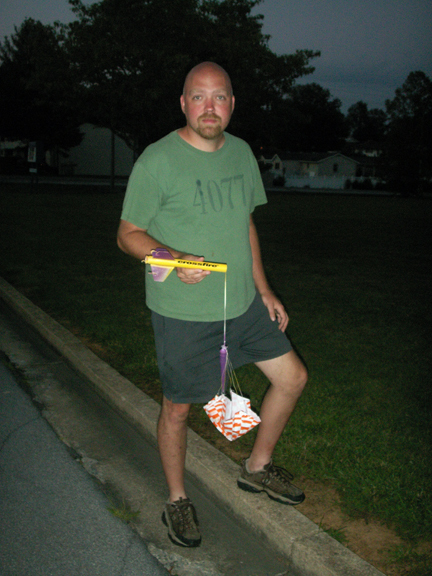 I first asked where he might have launched these rockets, what gave him the idea and if he’d hurt himself or others. Turns out, he had been very safe and responsible and launching rockets is really not that big a deal (“NASA does it all the time”). He got the idea from J.’s blog post. J. is a rocket scientist. Apparently, you can get the smaller rocket starter sets for around $25-30 and they have little parachutes or streamers so you can get them back in one piece and reuse them. There is a whole instruction manual here for those of you who like making things go fwoom! Or subscribe to Mach 30’s newsletter for more space-y, science-y, open source-y and occasionally entertaining news.